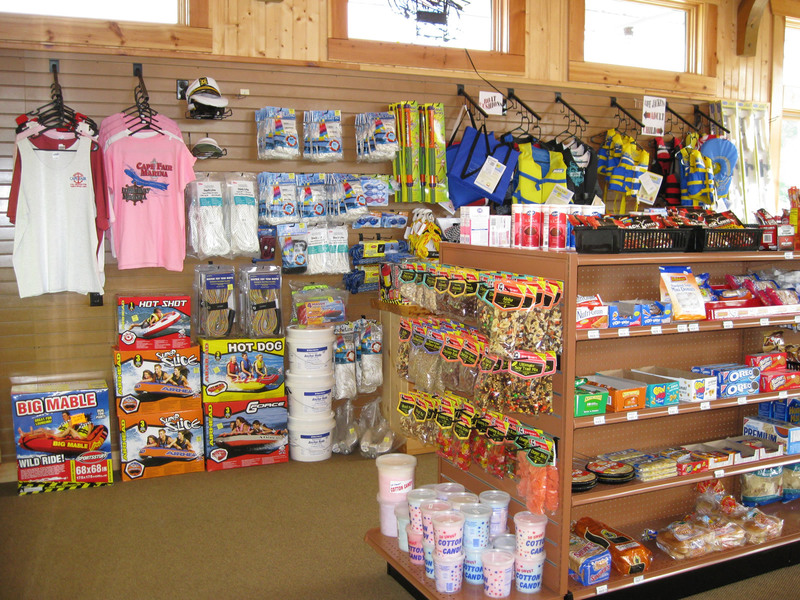 Our dock store has ice, beer, ice tea, soda, coffee, ice cream, candy, snacks, cigarettes, marine products (anchors, ski flags, etc), sunglasses, sun lotion, aspirin, etc. We also sell batteries, motor oil, and a good selection of misc. household products along with milk, eggs, bread and other fresh products. Open daily from 10am till 4pm (weather permitting). Restrooms are open 24/7. 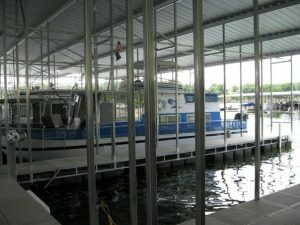 We rent a wide variety of watercraft ranging from paddle boats, fishing boats, and pontoon boats, to runabouts and wakeboard boats. 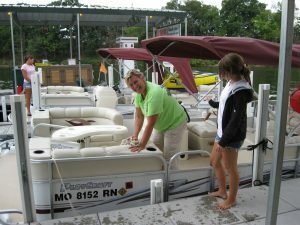 Cape Fair Marina offers wet slips for annual lease. 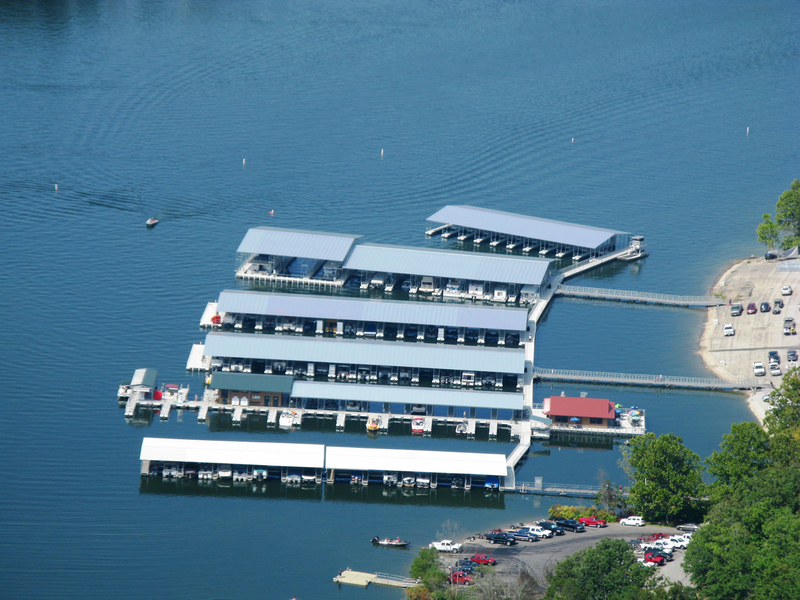 Whether you own a bass boat or houseboat, give us a call today to check the availability! 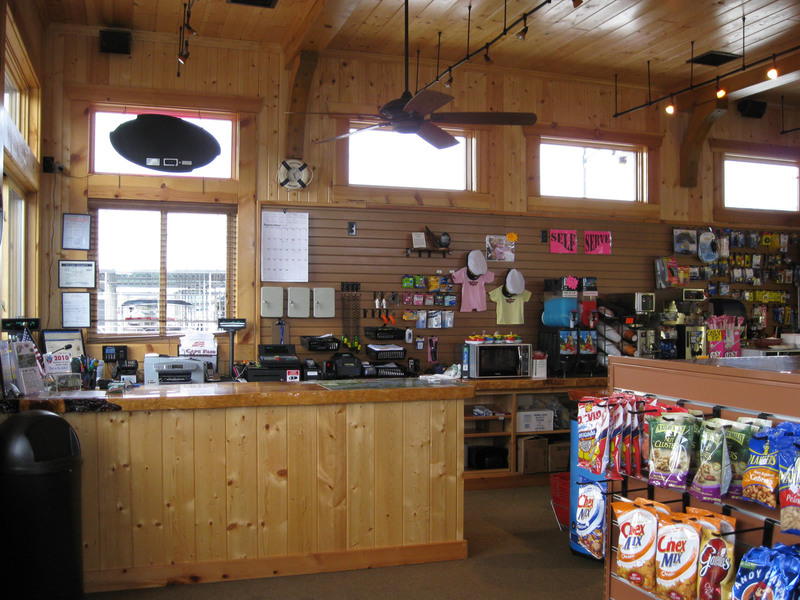 At Cape Fair Marina Tackle Shop, we’re proud to provide our customers with an awesome selection of tackle and bait. 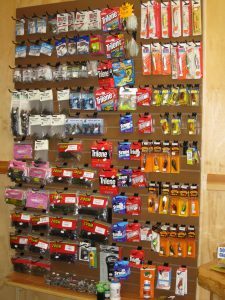 We love sharing our knowledge of fishing conditions and using the best bait for the day. 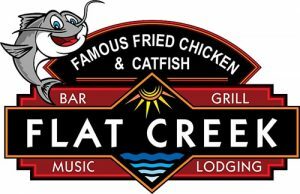 Learn about the latest advancements in gear, find handpicked products for fishing popular species, and get free Table Rock Lake and James River fishing tips. Enjoy signature salads, BBQ, seafood and more dockside at Cape Fair Marina. We have a little of everything that will give your taste buds a treat. Also, check us out on Facebook! IMPORTANT: Upon arrival at the corps park, stop at the guard shack and tell them you are going to the marina store to avoid being charged. If you plan to launch a boat or use the park facilities, then you are subject to a $4 charge.